Souvenir thimble from Leggett California located in Mendocino County Northern California. It shows a giant tree with a car driving thru the base. Leggett California is located in Mendocino County, Northern California. It is home to some of the largest trees in the world. 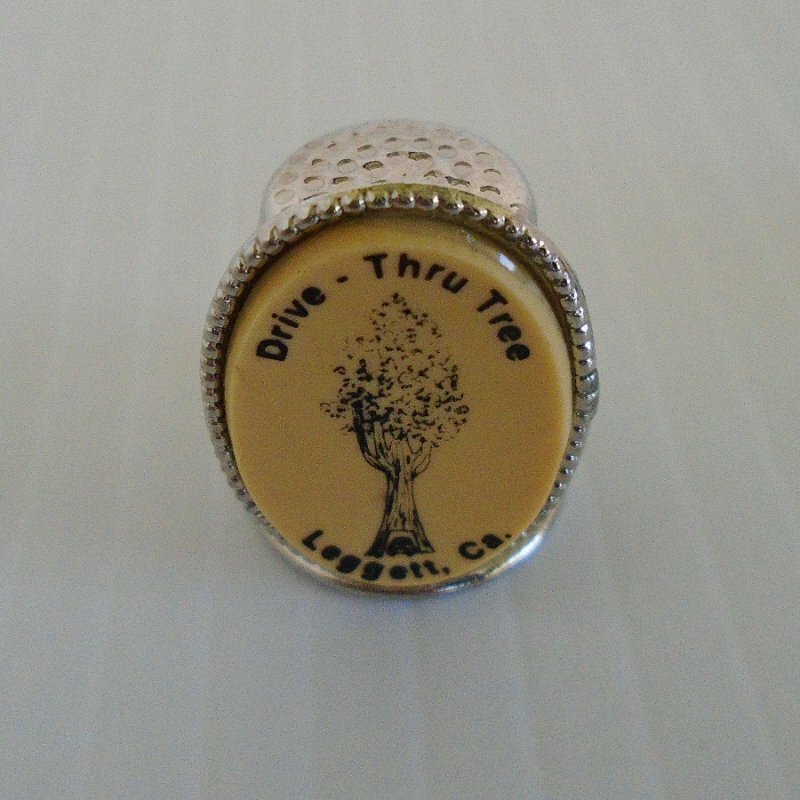 This is a souvenir thimble from Leggett that shows one of the giant trees with a car driving through the bottom. It is a standard size thimble, silver in color and in excellent condition. Buyer to pay USPS First Class Mail Parcel delivery charges of $3.99. Delivery is from Arizona.